You can buy one, like this, or make your own. A friend made one for me. I love it. A wet bag is made out of pull fabric. I think she double layered mine. 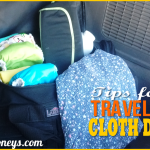 It is great because it keeps the smell and the mess in, and you can take it with you to put the diapers in when you’re traveling. Like this …or if you want to go the cheap route a garbage can with a lid to keep the smell in. Either way works well. But that smell must be contained! This works best for me. I have about twenty diapers. So 3-4 days isn’t so long that the diapers have to sit for too long, and it isn’t so long that I need a ton of diapers. Just throw your dirty diapers in the diaper genie, like this, or garbage can…don’t add any type of water solution (some people like it but not many that I’ve heard). Ever 3 months or so…Look here for a how to. It’s pretty easy…no harder than washing. But becomes necessary because the ammonia builds up with time, and just washing isn’t enough. 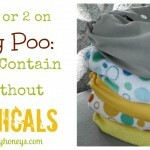 The creams will leave stains on the diapers and make them less absorbent. They have some specifically for diapers, like this, but I just go the cheap route and find one at the grocery store without oil. As far as wipes go. I’ve experimented a lot… but I just bought some flannel and cut it into squares and sewed around the edges. You can also buy flannel wipes, like these. I just keep them folded by my diaper stuff and when I need one I just go wet it with some water, or keep a water bottle by the wipes and wet it with that. I tried the whole water and stuff with the wipes but didn’t like it as much. I think four days between washes is too long – no wonder you need a diaper genie to contain the smells and you’ve had ammonia issues! The longer you let those diapers sit, the more time the urea has time to break down, hence the ammonia smells. I would suggest washing every other day! Baby powder isn’t good for babies – talcum can be inhaled and damage lungs or cause cancers. Cornstarch also shouldn’t be inhaled and it’s basically sugar – the perfect place for bacteria to grow. The American Pediatric Association recommends that no one use baby powder. I recommend Boudreaux. We’ve never had problems with it on our diapers. I’ve read that coconut oil is the best to use with cloth diapers. Thank you so much! I want to cloth diaper my new babe but had no idea where to even start! This made it so much less overwhelming and confusing. As a grandmother who cloth diapered both my boys nearly 40 years ago, it’s not a hard thing to do. There were disposable diapers when I had babies but my boys were allergic to them. A plain cotton birdseye (the type of cloth) diaper can be folded to fit any size babe, from a tiny premie to a good size 2 year old. I did not like the prefolded ones, I did better simply folding them. I see no where that you say you rinse your diapers out first, it’s not nice but pre rinse especially the messy ones in the toilet. It will reduce the smell a lot. But like someone said I would certainly wash at least every other day, sometimes I washed diapers daily. I know people have their passions and their own feelings about bleach, I don’t mean to convince anyone of anything, but it was my friend. It whitened stained diapers perfectly, it kept the ammonia from building up in them, I would say bleach them, but if you don’t want to the world will not end. I also advocate rinsing them twice when you bleach. If you live in a warm climate hot summer sunshine and a clothesline are an excellent way to kill germs and keep the smell at bay. I’m glad to see young parents opting for cloth, it’s much more environmentally friendly and IMHO better for your babes. BUT do what feels right to you, do what you need to do to mother your children and take advice and ideas as nothing more than that. Most of us grandma’s give it with best intentions and I’m sure we could learn from you young moms of today. Thanks for the info! I love hearing from people who cloth diapered before disposables. We can learn so much from you. What did you use to wash your diapers then? Love this advice and tips from a generation before we had all the gadgets & and tech of nowadays. Thank you for your input!! If you have the right wash routine down, you should not need to strip your diapers every 3 months. Stripping is hard on the diaper fabric. By having a solid wash routine there will be not ammonia build up. That’s EXACTLY what I was going to say, get a real detergent and a good wash routine (and a water softener if you have hard water) and your good to go!! Yes! I agree! Need some fluff love wash advice here! 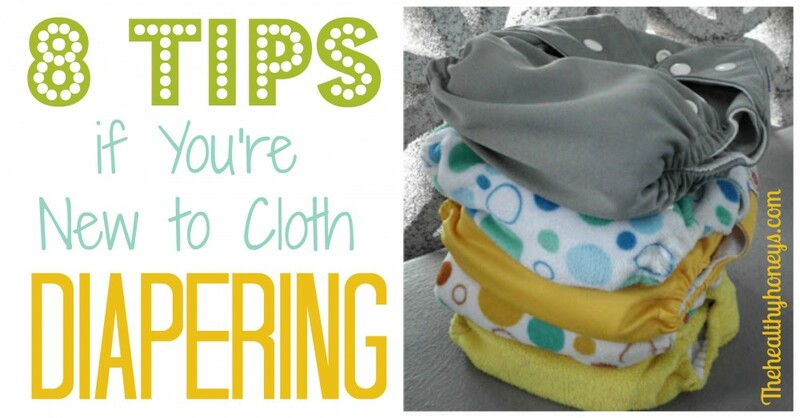 Just wondering if there is any particular reason you recommend using cloth wipes? I have tossed around this idea but am not sure what I would like to end up doing. I just wasn’t sure if using disposable wipes would leave residue on the babies skin that affects the absorbency/efficiency of the cloth diaper or some other reason? Would love to hear some advice on this, please and thank you! 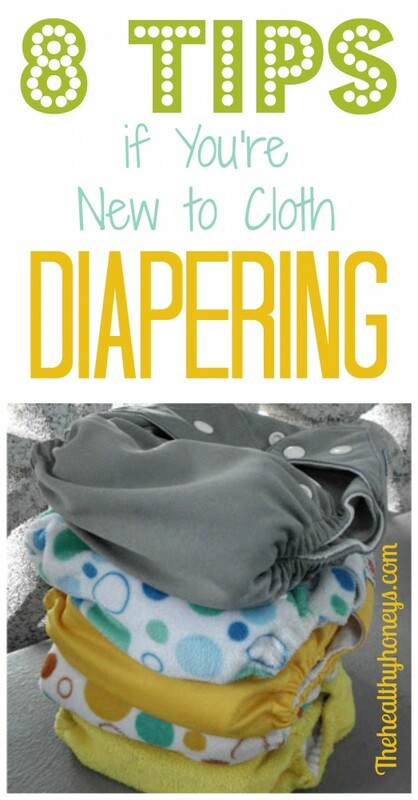 And thank you for the article, very helpful to a first-time mom and new cloth diaper user! Mostly I recomended using cloth wipes because I found it annoying to save the disposable wipes and throw them away. 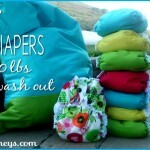 With the cloth wipes I can just put them in my cloth diapers and they all go to the same place. The one thing about cloth wipes is I usually get them wet. So I either leave a water bottle in the diaper bag or just keep them by the sink at home and just wet them before using them. I don’t think the residue from the wipes would do anything to the diapers, although I haven’t looked into it. 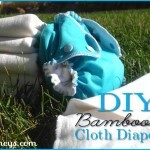 I have a question maybe you can help me with…I cloth diapered my son five years ago with some fuzzibunz-type pocket diapers and LOVED them. No leaks, no problems. I just had a little girl, and I bought a bunch of used but in great condition cloth diapers (this time with girly patterns on them instead of boy ones) off craigslist. They are basically the same type of cloth diaper as I had before, but these ones ALL LEAK! I don’t know if it’s just because she’s still so little- 11 pounds at about 7 weeks. I don’t recall how old my son was when I started using them with him, but I don’t think it was more than 2 months old. Is it possible the diapers are just too old? They leak around the legs, the tummy, and up the back. So I’m thinking that they’re just getting saturated- but my son, even up till he was potty-trained wouldn’t saturate a diaper with a single insert in the 2-3 hours she wears them. I can put a second insert in, but then it’s so bulky, especially on a newborn. And since I didn’t have to do that before, I want to figure out a solution. honestly I don’t know for sure. It could be the diapers. It could also be your wash routine. Make sure you get a good detergeant. Also sometimes babies are just shaped differently and would do better with a different diaper. Remember that boys pee towards the front of the diapers. Girls pee downward, so the diaper will get saturated more so than with boys. double your liner in the front for boys; towards the bottom for girls. Remember that boys pee to the front of the diaper; girls downwards. Double up your liner to the front for boys; middle or bottom for girls. 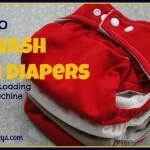 Thanks for the tip about using a non oil based detergent to wash the diapers. My wife and I are expecting our first child, and had been looking into what we should do. I will have to see what other options there are for having a more eco friendly time about it. I agree with some of these comments. Nooooo to using baby powder! It’s bad for baby and personally I’ve seen it makes rashes WAY worse! Use coconut oil! And stripping isn’t necessary if you have a good wash routine, use enough detergent, and water softener for hard water.